The standard Jaguar XKs produced from 1948 to 1961 have long been considered icons among British car enthusiasts. 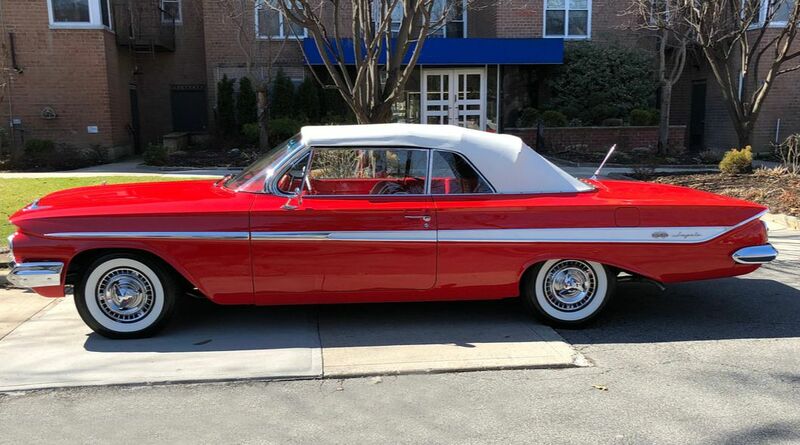 And one of their earliest fans was Hollywood superstar Clark Gable, who bought three, including this 1952 version massaged by legendary California customizer George Barris. 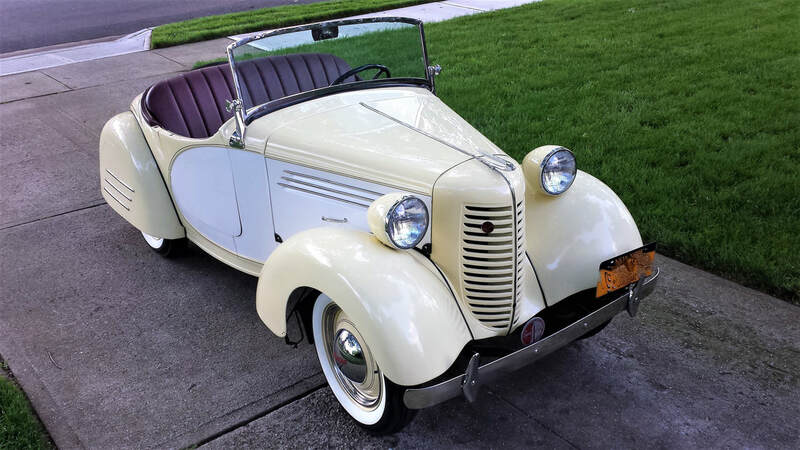 While retaining the beautiful lines of the original, Barris shaved some of the trim and body, and created a kind of Carson top, a tall removable hardtop, to give Gable extra headroom. He bought it from an estate through St. Louis classic car dealer Mark Hyman. 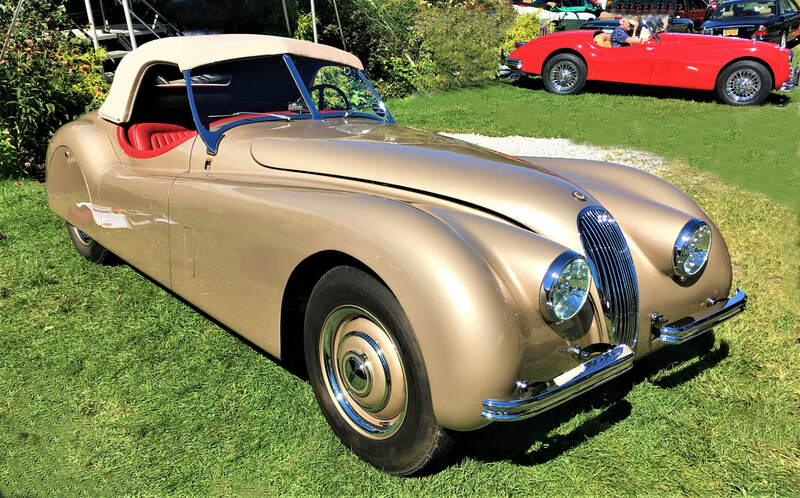 “I’ve had many cars over the years,” he says, “but I wanted something different that could start competing at Pebble Beach, Amelia Island and Villa d’Este (concours) in Italy.” Limongelli’s Jag was, indeed, one of the highlighted cars at Florida’s prestigious Amelia Island Concours d’Elegance on March 10, 2019. Limongelli estimates the Jaguar is worth $400,000 to $425,000. He bought it from a Hewlett, New York owner. “When I saw it,” he says, “the top was there and it was all smashed. I decided that top is just too unique and rare not to fix it.” The custom tops were made in the early 20th century by a horse-drawn carriage builder, the Rex Buggy Co. (later Rex Manufacturing Co.) of Connersville, Indiana. Judge restored the REO himself. “I started taking all of the broken pieces of wood from the top and gluing them and screwing them back together. Then, I made templates and ordered all of the wood because it’s all white ash. 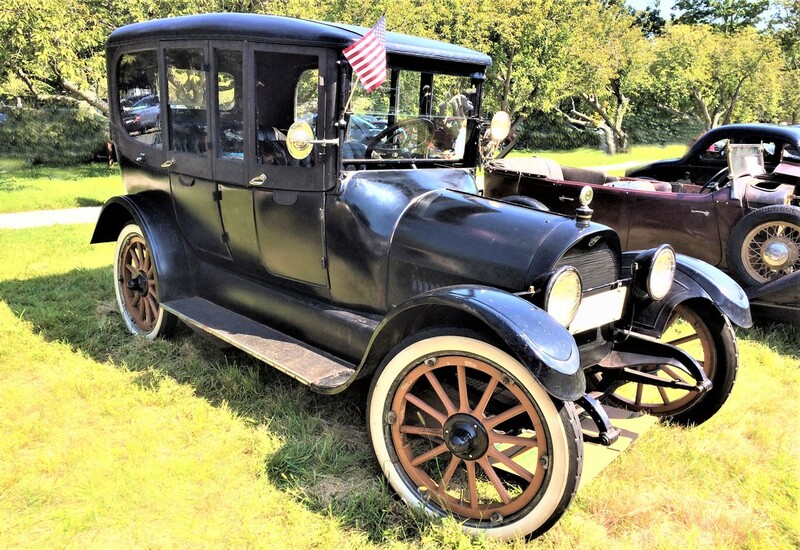 I had to cut all of the individual pieces.” He also freed up the seized engine, rebuilt the carburetor and redid the brakes with material he fashioned. The impossible-to-find dome light was recreated from a jelly jar. The original upholstery is still stuffed with horsehair. “Honestly, I wouldn’t sell it for millions,” says Judge. “To me, it’s priceless.” The few period REOs for sale in recent years have been priced in the $20,000 to $30,000 range.